Elevate small spaces. 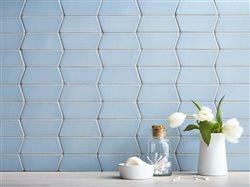 Use tiles interchangeably to create a design, elevating baseboards, fireplace surrounds or backsplash areas. Make a color statement. Choose colors that work with elements already in the room. Consider complementary color pairs such as red-green, blue-orange or yellow-purple. Create a calm mood. Everyone wants their home to be a sanctuary. Choose colors, lines, shapes and scale with simplicity in mind to create a calm feeling. 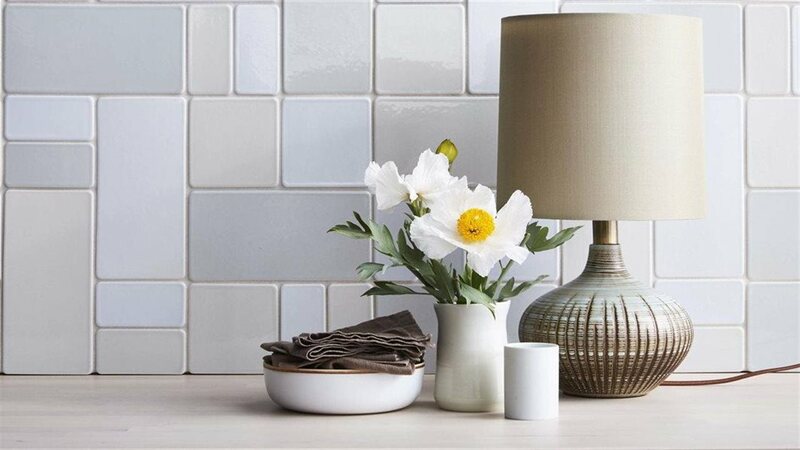 Personalize your space. Work with a designer or manufacturer to make your space your own. The Ann Sacks Radius Collection by designer Barbara Barry provides tools for consumers or designers to customize patterns. Create visual interest. Choose differently textured materials to break up an ordinary surface. 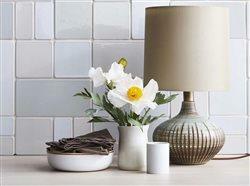 Tile adds an interesting textural element to a room.